Last week we showcased MCN's five best waterproof motorcycle rucksacks, so with the touring (warm) season still upon us, we thought we’d continue looking at luggage options for your motorcycle. If you choose to use a rucksack you'll know that sometimes it isn’t enough and you find you need that little bit of extra room. 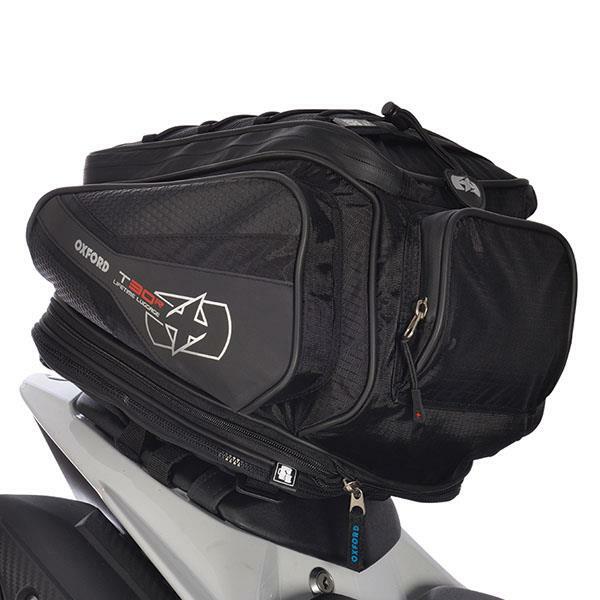 A tail pack can be one of the simplest and best solutions, and there are loads available to suit your riding requirements, motorcycle type and also luggage capacity. So to suit your every need, here are five of our favourites, but you can find plenty more on the MCN Shop if none of the below tickle your fancy. 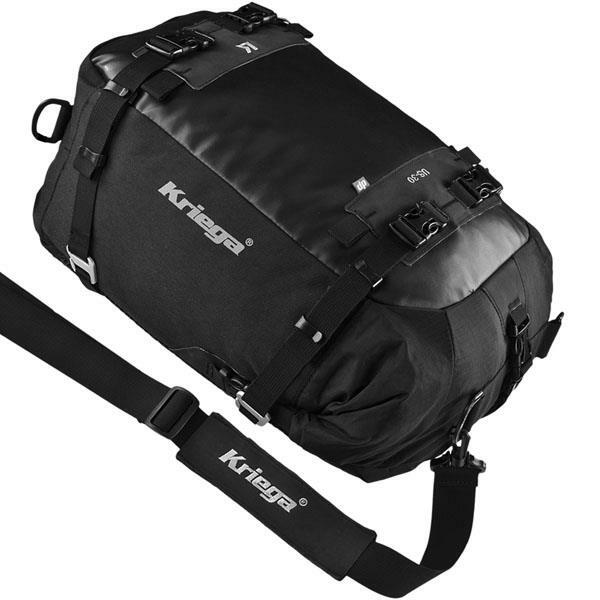 The US range of luggage from Kriega is extremely popular among motorcyclists because of their build quality and versatility to be easily fitted to nearly any motorcycle. The US-30 bag is completely waterproof and features a 30 litre capacity that is expandable by using other Kriega US luggage with up to a monster 70 litre of luggage potential possible with a couple of additional US-20 bags too. The bag is made from tough 1000D Dupont Cordura and also comes with an additional shoulder strap meaning that it can be carried off the bike easily or even worn when riding and it can even be used as a tank bag with an additional connector. A highly useful and versatile piece of kit. When you need everything and maybe even the kitchen sink then this Oxford Aqua T50 will come in extremely handy with a massive 50 litre luggage capacity. It features a number of loops that allow it to be easily attached to the motorcycle and will accommodate most of the essentials you’ll need on the road – while keeping it all dry too of course. It’s simple and effective and also comes in at a very attractive price too. 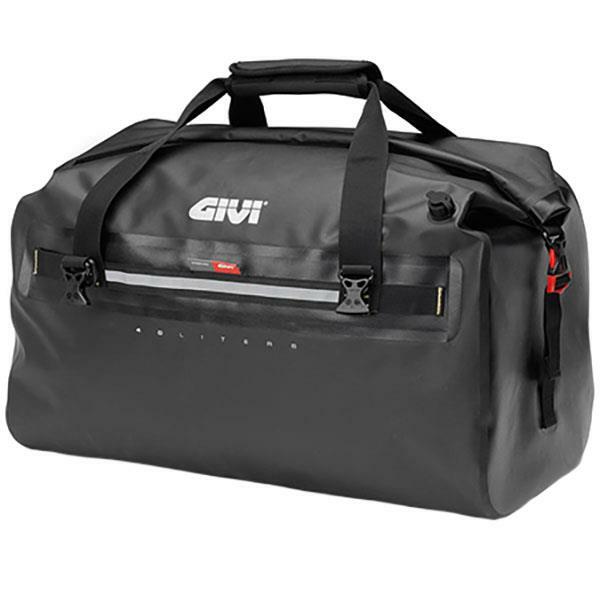 This roll bag from Givi combines a useable size with the option to expand capacity if needed much like the Kriega option. The bag features an air release valve to reduce bulk if the full capacity isn’t used and also stop the bag from ballooning when closed. The GRT703 also features buckles that allow other specific Givi luggage to be attached to the bag increasing the capacity. 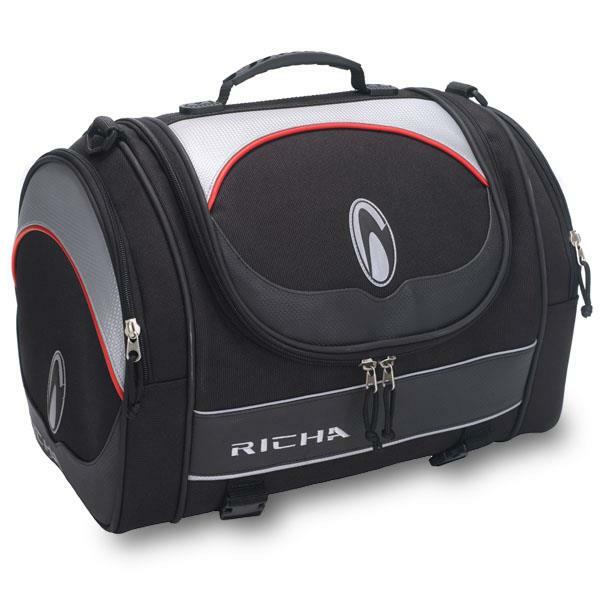 Richa’s Designer luggage roll comes with 3 easily accessible compartments that will prove handy to those who might need to go into the bag quite often. It’s got a 30 litre capacity and while it isn’t waterproof, it does come with an additional rain cover for those wetter rides. The T30R is a handy tail pack that will easily fit most modern sportsbikes. It has a 30 litre capacity and can also be worn as a rucksack. 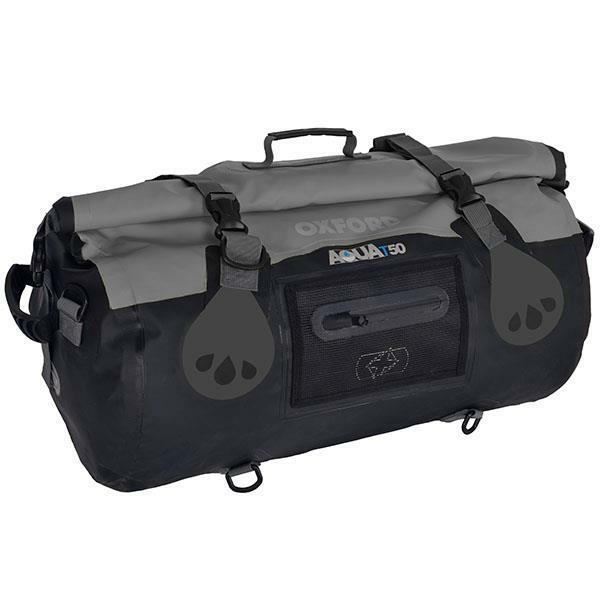 It features a zipped base that can stay connected to the bike, making it easy to fit and remove on the move – perfect for those who might want to carry valuables but not risk leaving them with the bike.